The truth is, planning and decorating for your dream eco-friendly bedroom will be neither easy nor cheap, but this guide will help you understand why it’s so important for both your health and the planet. This post will cover everything from finding from your perfect non-toxic mattress to choosing the right indoor houseplants to improve air quality and even suggestions for VOC-free paint. By the end of this, you’ll become an expert well on your way to planning your green bedroom with affordable eco-friendly bedroom furniture and accessories. Over the last 7 years, I’ve lived in 4 different cities so I’ve had plenty of practice with furniture shopping, but my experiences always go something like this: I arrive in a new city and immediately make a trip to IKEA for some necessities (i.e. a bed). While I’m there, I see other things that I will need for the apartment so I add them to my shopping car. After all, I’m already here. I don’t want to make a second trip if I can prevent it! Unfortunately, this means that I can’t perform research on the sustainability of these impulse buys and when I run into an eco-friendly alternative a few months later, I’m crushed that I can’t get it. Even though it’s the eco-friendly option, it is not eco-friendly to buy something that you don’t need. In less than 2 months, I’ll be moving again but this time, I’m prepared! I’ve identified sustainable furniture companies, learned everything there is to know about eco-friendly beds, and most importantly, I’ve learned how to do all of this while sticking to my budget. These last few weeks, my research has taught me so much about eco-friendly bedroom furniture options that I’ve decided to do the same research for all the rooms in my new apartment. Since I’ve done all this research already, I am sharing my notes so it might help you plan what will go into your own eco-friendly bedroom. My dog and two cats insist on sharing the bed with me and my husband. Thus, all referenced prices are as of June 2018 for a King-size bed. If you’re looking for a new mattress, chances are that you’re thinking of getting a memory foam mattress, as inner-spring mattresses seem to have fallen out of favor for people in the last decade (and are prone to dust-mites). You’ve probably heard of companies like Caspar and Leesa, which offer reasonably-priced memory foam mattresses to rave reviews. However, if you’re looking for the most eco-friendly mattress, it’s best to avoid memory foam in general. Memory foam’s claim to fame is that it molds to your body, contouring your curves to evenly distribute your weight. It claims to produce less motion transfer and less squeaking. Sounds perfect, right? The problem is that memory foam is neither good for your health nor the environment. Memory foam mattresses are generally made of polyurethane and treated with toxic frame-proofing chemicals. Read more about these ingredients. Stay on your toes though: mattress companies will use all kinds of names for ‘polyurethane’, probably because it sounds very unnatural, in favor of words like ‘foam’, ‘HD foam’, ‘high-density foam’, or ‘support foam’. While the final polyurethane products are deemed “inert” (i.e. chemically inactive) and thus technically safe, some of the ingredients used to make the polyurethane is highly toxic and/or carcinogenic. Even if you’re theoretically safe with the final polyurethane in your mattress, by purchasing memory foam, you are putting the people who have to work with these toxic chemicals in danger. Additionally, all polyurethane products will contain some degree of volatile organic compounds (VOCs) that result in off-gassing. In 2014, when I moved to Los Angeles, I purchased the Caspar mattress. It was a bit over my budget, but I was so excited because all the reviews were promising me the best sleep ever! The Caspar mattress is advertised as low VOC so when I unboxed it, I was disappointed that the off-gassing scent was still so strong. My relatively strong nose could still notice a displeasing odor nearly one week into using it. Perhaps I didn’t let it air out for a full 24-72 hours before putting sheets on it, as recommended so my experience might not be the perfect example. But the smell and the subsequent headaches made me decide that my next mattress was going to be made from more natural materials. For those of you considering getting a Caspar mattress, I would say that in terms of sleep quality, it was pretty good. It was soft but supportive. Besides the odor (and the knowledge that while the smell of VOCs can go away, they never really disappear), my only minor complaint is that on the hottest of summer nights, I would wake up sweating all along my backside. So what is the non-toxic alternative to memory foam? It’s all-natural latex foam! Latex foam is a safer and more eco-friendly choice for your mattress because the latex it’s derived from the sap. This sap is tapped from rubber trees and called Hevea milk (similar to how sap is tapped from maple trees to make Maple syrup). In this way, latex foam can be made with latex sap instead of fossil fuels, as in the case of polyurethane foam. Additionally, latex mattresses usually forgo chemical retardants and are instead paired with wool, which has natural flame-retardant properties. A latex mattress is generally made up of natural latex foam, steel springs, cotton, and wool. Therefore, it is completely recyclable when broken down into its component parts and recycled responsibly. Polyurethane foam is non-biodegradable. Latex is the safest material for a non-toxic mattress because it forgoes the chemical retardants and polyurethane foam commonly found in memory-foam mattresses. UPDATE: After weeks of research and deliberation, I’ve purchased the 12″ Luxury Bliss Natural Latex with Premium Coils. Measure twice; cut once. Or in this case, research ten times, order once (to keep). Many mattress companies these days offer a free trial (i.e. try out our mattresses for 100 days to see if you like it – if not, free “returns”). I caution you to not take this offer up too liberally. Mattress companies will not take mattresses back to its warehouse because they obviously cannot sell a used mattress. This means that they will try to donate it to local charitable partners. However, where that fails (i.e. prohibited by local laws, or they have no partners in the area), the mattresses will be sent to a landfill as trash. It is a real shame to know that a mattress that’s only been used for a few months can be disposed of in such a nonchalant, non-environmentally friendly way. According to a study measuring body contact pressure in latex and polyurethane mattresses, latex mattresses are able to provide a higher proportion of low-pressure regions by reducing the peak body pressure from the torso and buttocks. Another reason for latex mattress superiority to foam mattresses. The drawback is cost – latex mattresses are a lot more expensive. Therefore, if you can’t go with a 100% latex mattress due to cost, perhaps you are able to invest in a 100% latex mattress topper. This way, at least the portion of your mattress that is closest to your body is free from the off-gassing and chemical flame retardants of polyurethane foam. It’s no secret: many times in today’s society, the healthier and more eco-friendly options are simply more expensive. It costs more to respect the planet because the impact to the environment is not priced into raw materials. It costs more (in the short-run) to not be dependent on fossil fuels like petroleum, which we use in everything from plastic packaging to memory foam. With a limited budget, we all have to make choices about where we can afford to invest in something that’s better for our health and better for the planet. If you can’t afford a 100% latex mattress, there are alternatives. It’s not all of nothing. You can also consider a mattress that uses a “bio-foam”. While these companies may use polyurethane as the primary component of the foam in their mattress, they strive to be more eco-friendly by substituting a portion (often the top portion) with a foam that is derived from plant-based sources. Viva Terra $2,995 | Made from reclaimed Douglas fir wood in the USA, this would be perfect for those looking for a complete bedroom set because they have matching bedroom furniture. Avocado $2,049 – $2,805 | Absolutely beautiful natural wood bed frame, made in the USA with reclaimed solid Douglas Fir wood with zero-VOC finish options. Keetsa $425 | Steel frame with a minimalist appeal. My first preference would be a wooden bed frame, but when I saw this, I thought it might be a good alternative. If you can commit to properly recycling the steel if you ever need to get rid of it, steel is infinitely recyclable. Additionally, many times I haven’t been able to take a bed frame from one city to another because upon disassembly, the (cheap) low-quality wood would tear at the assembly points. I would guess that steel would survive disassembly and be easier (though heavier) to transport. Winston Porter $316 | Solid wood frame with a minimalist appeal. Zinus $250 | A steel and wood combination with a minimalist headboard. Zinus $216 | Solid wood frame with a natural finish. No headboard included. Zipcode Design $159 (queen) | Made in the USA of unfinished (chemical-free) solid wood, this would be one of my top choices, except that it’s not available in King size. I included it anyways because I think you might want to consider it. If you’re looking for eco-friendly bedsheets, you need to consider the material from which your sheets are made. The most common materials used for bedsheets are standard cotton, organic cotton, microfiber/polyester, bamboo (rayon) or another regenerated cellulosic fiber like Tencel, or a blend. I hope you can already guess what I’ll recommend. Microfiber | Microfiber is a synthetic fiber generally made from polyester, which is derived from coal and petroleum. Every time you wash this synthetic material, tiny threads from the fabric (one type of microplastic) are released. As they are micro in size, many of these fibers cannot be captured by our waste treatment systems and end up in the oceans. These fibers will then be consumed by small aquatic animals, such as plankton – moving up to food chain into our own food supply. At every step along the way, the toxins will bioaccumulate, similar to how there are worries about the high mercury levels bioaccumulated within larger fish (i.e. ahi tuna and mackerel). Bamboo | Bamboo fabric is neither a synthetic or natural fiber – it’s more a combination of both made from regenerated cellulose. Cellulose is a compound found in all plants, but bamboo fabric is touted as an eco-friendly fabric due to it being a low maintenance plant with fast growing speed that it is almost always organically grown. However, the process of converting bamboo plant to bamboo fabric uses chemical solvents that generally have not been able to be fully re-used. However, recent research indicates that there have been considerable advances to recycle and reuse “green” solvents to create environmentally friendly regenerated cellulose materials. Non-Organic Cotton | Cotton is a natural fiber so a good choice. However, conventionally-grown cotton is not perfect. It uses more than it’s proportionate share of water (20,000 liters of water to produce 1kg of cotton) and uses way more than it’s appropriate “share” of chemicals. 2.4% of the world’s cropland is used for cotton, but cotton uses 24% of global insecticides and 11% of pesticides. These chemicals leach into our waters after rains and with other water runoff, causing more than 20,000 deaths annually along with the long-term impacts to ecosystems. No Iron | In your search for bedsheets (or clothes), you might be tempted by products that claim to be wrinkle-free such that an iron is unnecessary. Unfortunately, this probably implies that the fabric has been treated with a resin that releases formaldehyde to achieve this quality. The US does not regulate nor require manufacturers to disclose the use of these chemicals so you’re on your own on this. Stain Resistant | You might also encounter “benefits” such as something being stain resistant. This generally means the material has been treated with a Teflon-based fabric protector that may be undesirable to someone looking for eco-friendly, non-toxic bedsheets. For a while, I considered not purchasing a duvet because it seemed like my choices were between down and feathers plucked from duck and geese or synthetic (petroleum-based) fibers. But would I survive the cold winter New England nights with just a cotton blanket and reasonable heating levels? I’ve decided to avoid down and feathers because duck and geese are killed for them. The down is the fluffy white hairs under a duck’s feathers that keep the duck warm. If they are not killed for their feathers, they are live-plucked, which is extremely painful and cruel. While live-plucking is outlawed in the U.S., it is still permitted in some European countries and China, where most down and feathers are sourced. Synthetic down-alternative duvets are increasingly popular due to their being marketed as cruelty-free and hypoallergenic. However, they are generally made of 100% polyester/microfiber, which is petroleum-based, so not the best for the planet. Being cheap, bulky, and difficult to wash, they are also generally not that popular in the second-hand market. Coyuchi | Double-Stitched Quilted Organic Cotton Comforter $348 | Hypoallergenic with organic cotton fill grown in India, this might be a choice for a mid-weight comforter! I’m just a little worried it won’t be warm enough. While I think it’s best to avoid down and feathers if you can, if you insist upon it, you can look for certifications for more responsible down “harvesting”. The Responsible Down Standard forbids removal of down and feathers from live birds and forbids force-feeding. The birds still get killed, but at least they are not tortured (and live-plucked 7 times) before their death. Coyuchi | Three-Season Down Duvet $678 | Responsible down-filled duvet in an organic cotton shell. Might need an extra blanket for the middle of winter. According to a recently published guide by the Environmental Protection Agency, there has been a growing body of evidence that suggests indoor air is even more polluted than the outdoor air of even the largest cities. Considering that most people spend 90% of their lives indoors, it’s best to learn how to clean up your indoor air. Indoor air pollution is caused by the release of gases and particles from sources in the home. This includes tobacco smoke, household pets, improper humidity, carbon monoxide, organic gases (i.e. from paints, wood preservatives, aerosol sprays, commercial disinfectants, moth repellents/air fresheners, and dry-cleaned clothes), and pesticides – among others. Notably excluded from the EPA’s list was polyurethane-based memory foams. I wondered if perhaps I was mistaken with the criticism of polyurethane and the issue was overblown within the natural living group. I do not want to support polyurethane products for the sake of the environment, but I do not want to share biased information and pass it off as unbiased. The research seems clear. It seems I’ll be finding a way to afford a latex mattress with an organic cotton cover! You can and should fight polluted indoor air from multiple fronts to be the most effective. Add some greenery to your bedroom and clean up your bedroom air pollution at the same time. 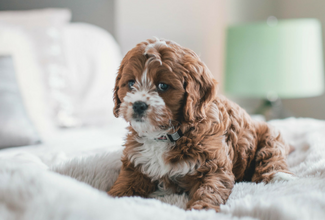 Here are some pet-friendly indoor houseplants to consider, as well as additional options if you have no pets in your home. When shopping for an area rug, you should look for materials such as untreated or minimally-treated wool, organic cotton, bamboo, jute, seagrass, sisal, and coir. Uncoincidentally, these are generally the same materials recommended if you’re looking for an eco-friendly casket. Synthetic carpets can contain benzene, formaldehyde, and other organic compounds that will off-gas in your home for years. Whenever I’m at IKEA, I run past the carpet section because just one whiff gives me a headache for the next hour. If you ever decide you no longer want/need your rug, do not toss it into the trash, destined for the landfills! Your first task is to find another home for it (friends, neighbors, local marketplaces). If you can’t find a taker, you can recycle it to divert it from landfills. ECOS Paints | Developed a line of paints that do not have the traditional paint odor that comes from polyurethane. In addition, the paint claims to absorb VOCs like formaldehyde, and absorb and neutralize other indoor chemicals and pollutants, acting as a massive indoor air filter. Air Pure Paints | According to the company, their paints contain a molecular sieve designed to absorb VOCs from the atmosphere. It works by allowing small molecules (i.e. oxygen & nitrogen) to pass thru but traps larger organic compounds (i.e. formaldehyde, acetone, glycol, benzene, and more). It is zero VOC, non-toxic, and zero odor. SafePaint | Environmentally-safe and non-toxic paint using a milk protein base intended for use on walls. It is organic and biodegradable. Sold as a powder in a brown bag, you simply add water and mix to prepare your paint. Benjamin Moore Natura | Certified asthma and allergy friendly by the Asthma and Allergy Foundation of America, 100% acrylic, VOC-free paint with zero emissions. Other brands you should consider include Colorhouse, BEHR Premium Plus, and Sherwin-Williams Harmony. The reason I still have a list of options as opposed to an exact shopping list is that I am hoping to source many of these items second-hand: second-hand is my first choice. To purchase second-hand means that raw materials, energy, and transportation costs will not need to be utilized for something that’s already available in my community (that is probably destined for the landfills if someone doesn’t take it). Particularly if you live near an affluent neighborhood or a large cluster of universities, you’ll be able to find high-quality items at fire-sale prices. I’ve already been looking at the Facebook marketplace and there were a bunch of nice things that fit my style, at a fraction of the original cost (sometimes even free!). Wish me luck on my thrifting journey! This was so interesting, what would you recommend for an eco friendly pillow? I’ve had goose feather pillows for almost a decade which now need replacing but as I now live a plant based lifestyle I’d like an animal free, low environmental impact alternative. Do you think latex foam pillows would be appropriate? Yes, shredded latex would be a great option to consider! They are quite firm though so did not work for me. I ended up getting normal down alternative (polyester) pillows. Can’t win everything! Thanks so much for the reply. That’s so true, got to pick your battles! Thank you for this super informative and helpful article! We have slowly been working on replacing the items in our home with safe and toxin-free options, but it is a long and expensive process! Wow, that’s so interesting! Thank you for sharing! I’m definitely pinning this for later for when I start redecorating. I never knew being eco-friendly could be so complicated… and that so many materials had different problems. I knew the obvious ones, but I didn’t even know you could get latex mattresses. Out of interest, would latex-sensitive/those allergic to latex be able to use them if it’s natural latex? Or is it safer to stick to other options?